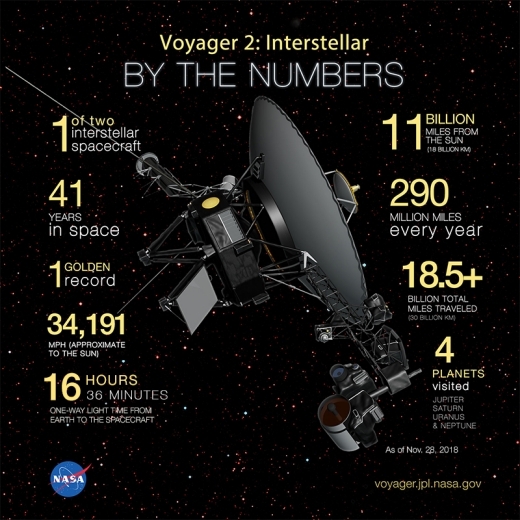 Voyager 2 has now gone interstellar, making it not only NASA’s single longest-running mission but one of only two spacecraft that have crossed over from the heliosphere to true interstellar space, what scientists call the Local Interstellar Medium (LISM). On that note, it’s interesting to put the Solar System in context. Depending on how you define the term, the Solar System takes in a great deal of interstellar space. Many astronomers put its outer edge at the outer Oort Cloud, perhaps 100,000 AU away, and both Voyagers have yet to reach the inner Oort.